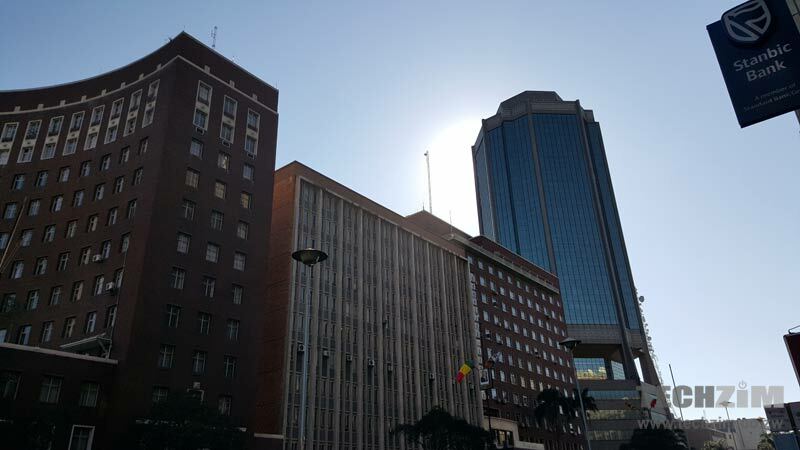 Harare, Zimbabwe, 15 November 2018 – The African Development Bank (AfDB) has launched a flagship economic report on Zimbabwe, titled: “Building a new Zimbabwe: Targeted policies for growth and job creation” which aims to support renewal and transformation of the country. Prepared by the Bank Group’s Economic Governance and Knowledge Management Vice-Presidency, the report was presented in a plenary meeting by the Bank’s Lead Economist, Ferdinand Bakoup, which was attended by the country’s Government officials, representatives of public and private sectors as well as other development partners based in the country. Made of eleven easy-to-read chapters, the report results from a one-year extensive research work of country, sector and thematic studies to offer economic analyses and policy recommendations that can help spark Zimbabwe’s transformation. It provides the current government, the donor community, and the private sector with a detailed assessment of investment opportunities in Zimbabwe. As an analytical work, it also provides with alternative scenarios for infrastructure investment to the year 2030 and identifies sectors for potential investment to achieve sustainable and inclusive growth. While contributing to the overall efficiency of the development process, the report also proposes options to develop a variety of opportunities and, in so doing, helps fill a knowledge the gap on sectoral investment priorities. However, he said measures are needed to increase the productivity of public investment, strengthen investor confidence, attract patient capital and, develop special economic zones towards further improving the business climate, while continuing to safeguard macroeconomic stability” he underscored. process in Zimbabwe. It will be useful in informing and supporting the government’s dialogue with donors and the business community about further development of economic sectors,” Bakoup further said. The Government applauded the timely launch of the report that will aid the implementation of the Transitional Stabilization Programme and the preparation of the Medium Term Plan for 2021 – 2025.
uhmmm where is the link to the report, please..